The origin of land plants ranks among the the most significant events in the history of life on earth. 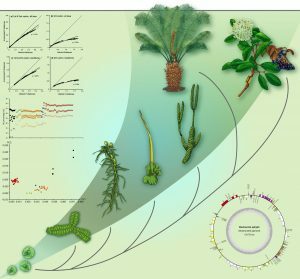 This course focuses on the evolution of morphological and genomic traits marking the conquest of land and the diversification of land plants, how biotic interactions shaped the evolution of plants and how the evolution of land plants and of the earth’s climate are intimately correlated. Laboratory session includes study of morphological and anatomical characters of extant and fossil plants, phylogenetic inference from morphological and molecular characters, and discussions of primary scientific literature.